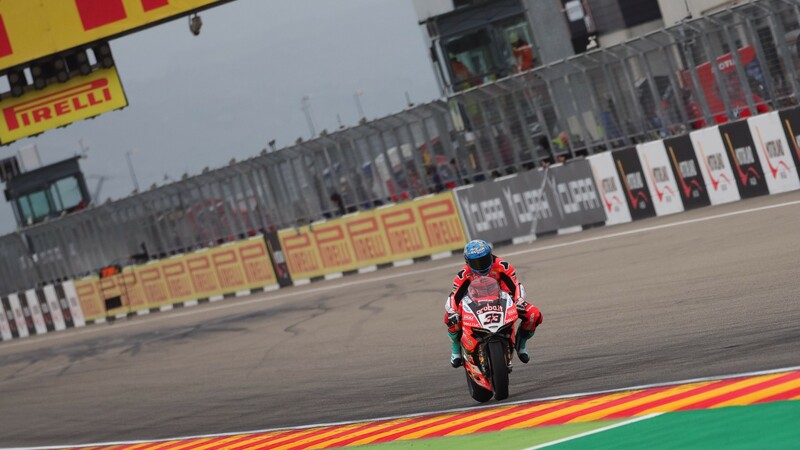 Marco Melandri (Aruba.it Racing – Ducati) confirmed the Panigale R’s fantastic pace at MotorLand Aragon, as he took the Tissot Superpole at Round Three of the MOTUL FIM Superbike World Championship. 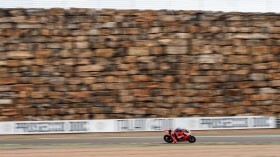 In a repeat of yesterday’s combined Free Practice sessions, the Italian squeezed ahead of Thai Round poleman Jonathan Rea (Kawasaki Racing Team WorldSBK) – yesterday it was two hundredths of a second, today the gap increased to three. The two have dominated the early stages of the weekend, and a fascinating battle awaits this afternoon. 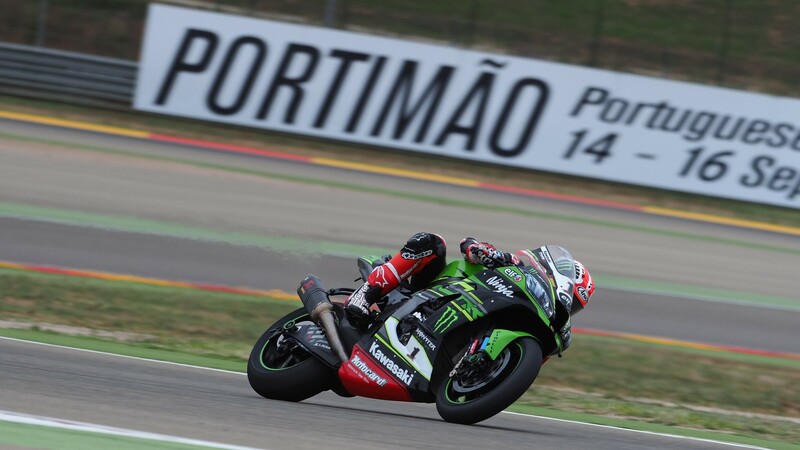 Rea was first out of the session, and immediately set a time on the racing tyres half a second above the rest of the field. Yesterday the reigning champion said that he was having trouble with his gear ratios, finding himself often between gears, but these problems seemed non-existent this morning. 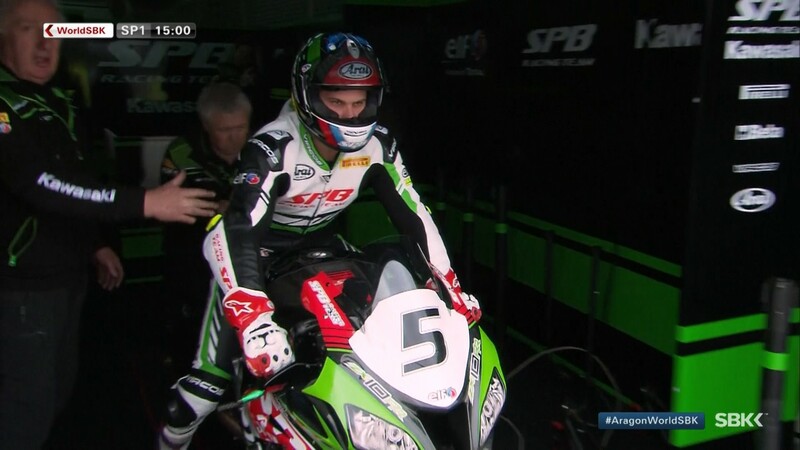 Tom Sykes (Kawasaki Racing Team WorldSBK) completed the first row with his final lap. 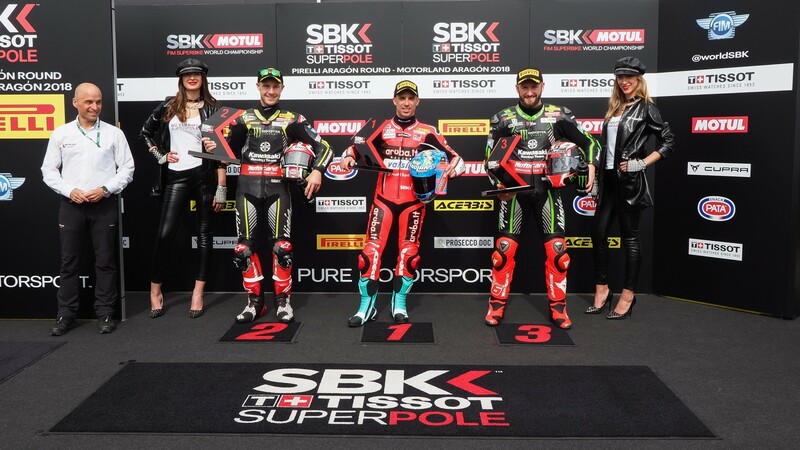 The British rider had bettered Melandri’s times in the first three sectors, but with the Ducati racing through that final stint Sykes had to take third, still one Superpole away from beating Troy Corser’s record. 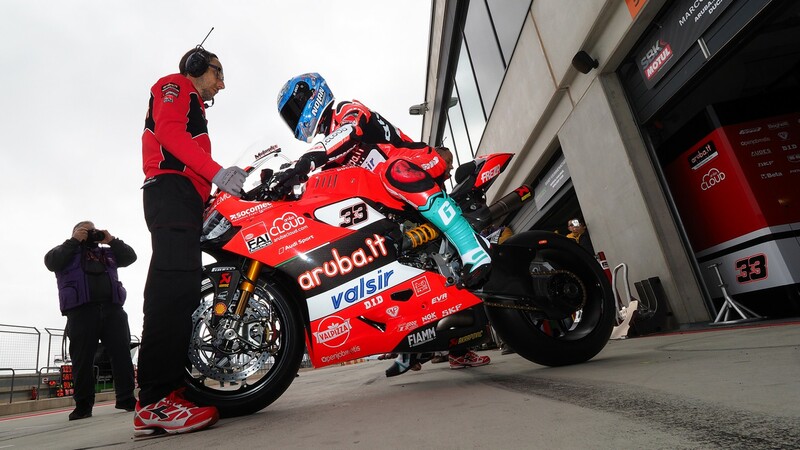 Melandri’s teammate Chaz Davies (Aruba.it Racing – Ducati) crashed out on his first lap with the qualifying tyre, and will have to start from eleventh. A small consolation for the Welshman, who got the Tissot Superpole here last year, is that he already won from the fourth row in Race 2 last year. In fourth place came local hero Xavi Fores (Barni Racing Team), confirming that the independent rider is ready and able to please the home fans, as well as stay near the top of the championship standings. Behind him were both Yamahas of Alex Lowes (Pata Yamaha Official WorldSBK Team) and Michael van der Mark (Pata Yamaha Official WorldSBK Team), completing the second row in fifth and sixth. 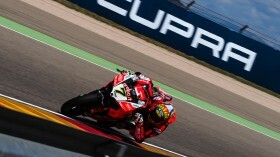 Row three will also be headed by a local rider, Jordi Torres (MV Agusta Reparto Corse), who showed good pace on Friday. 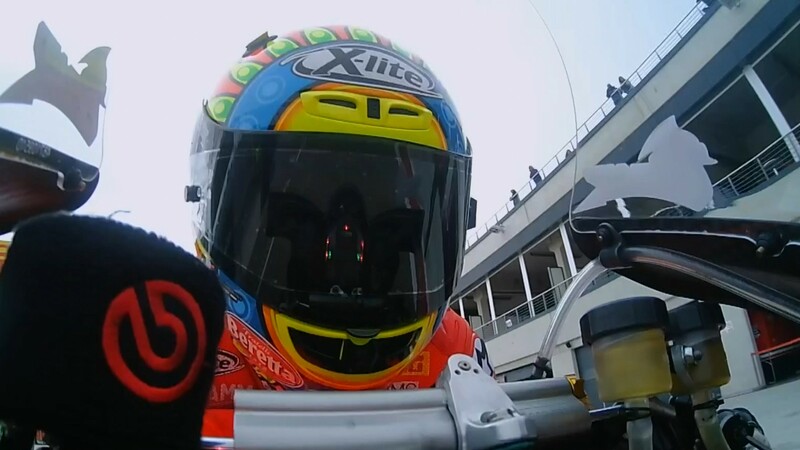 Behind him will be debutant Michael Ruben Rinaldi (Aruba.it Racing – Junior Team), who sped through the Superpole 1 well above the rest of the field. The other debutant here, Vladimir Leonov (SPB Racing Team), also made it through the first qualifying session but crashed on Turn 3 – the same spot as Davies and Lorenzo Savadori (Milwaukee Aprilia), 10th – and will start from 12th. Leon Camier (Red Bull Honda World Superbike Team), the only Honda through to SP2, will start at the back of row three in ninth. 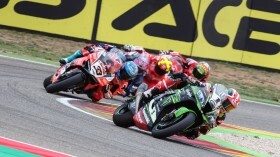 Race One of the Aragon Round starts at 13:00 (11:00 GMT). 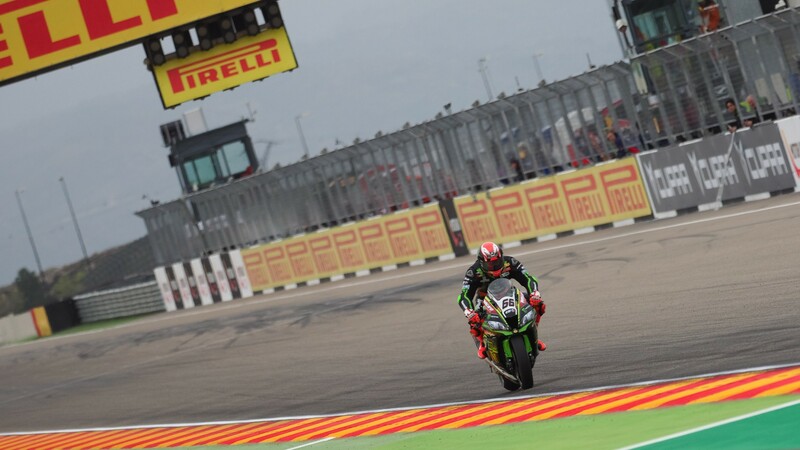 Watch it live, with post-race reactions and much more, thanks to the WorldSBK VideoPass.